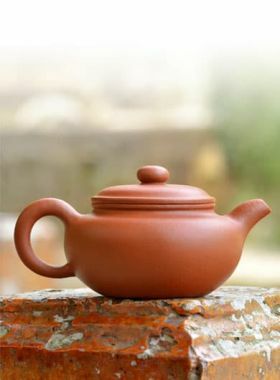 This Zisha teapot shapes in round and steady form, carrying the best wishes for the years ahead. Ruyi teapot as a classic type is originated from the Ming Dynasty of China, and has the meaning of wishing everything goes well. Its lid is evenly distributed with the pattern of four-petal, expressing a symbol of auspiciousness. The plump and round body gives tea leaves ample space to stretch. In addition, the decoration around the body not only applies delicate calligraphy and painting by hands, but also enriches the value and connotation of the whole teapot. 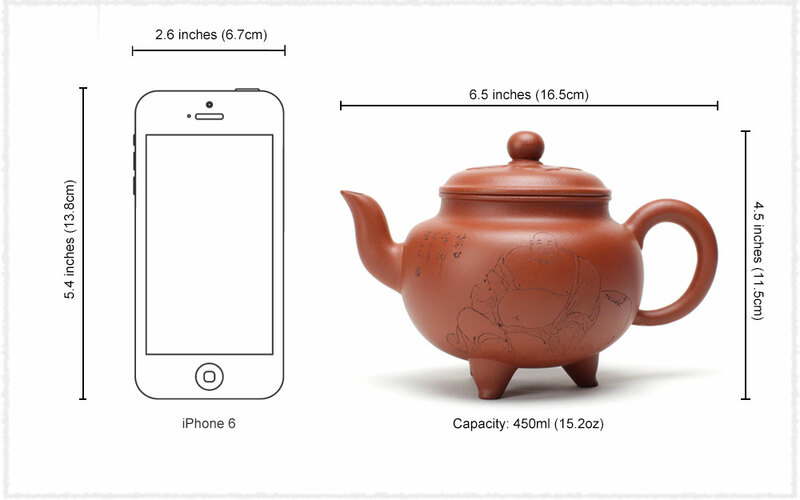 The other outstanding part is no more than the three legs beneath the pot’s bottom to support the entire body, making this teapot more stable and magnificent.